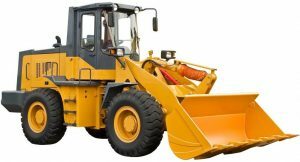 Public Works Leasing for Construction Equipment. Our 33rd Year! We specialize in VERY LOW INTEREST public works and construction equipment leasing for state, county and local governments. Purchase from any dealer or from your state contract. CALL or CLICK NOW for a quick quote on municipal construction leasing rates and payments. Tractors, crawler dozers, excavators, backhoe loader, front loaders, motor graders, dump trucks. All lease-to-own municipal leasing packages are100% turnkey and can Include anything your departnment needs from one or multiple vendors. See our municipal construction leasing FAQ's and the benefits of leasing for state, county, municipal agencies, districts and authorities. All municipal equipment is titled in your government's name at delivery. NO mileage, NO hours or usage restrictions, NO maintenance or condition requirements, NO BUYOUTS, ever. You select the supplier that’s best for you–best location, best price, best service–including anyone on the state contract. If the vendor is OK with you, they’re OK with us. Every piece of equipment is titled in the city’s name the day the vendor delivers it. You city owns everything. After the last lease payment you can go on using the equipment forever (FOREVER!) at no additional cost; trade it, sell it or re-assign it. The are no lease-end buyouts or payoffs, ever. Exactly as if you had paid cash years earlier. Its a fact. Public works construction equipment leasing is your agency’s lowest cost source of non-debt financing. Every program is designed specifically for municipal entities and their government construction leasing needs. From 2-200 vehicles! Skip the pay-for-it-all-in-advance budget trap this year. It’s a tough fiscal model to get tangled up in. Our programs are “Pay as You Go” and departments tell us that it just makes sense with today’s ever-tightening budgets. A Simple Way to Multiply Your Buying Power. Municipal public works construction equipment leasing multiplies budget’s buying power. Leasing Math 101: A $100,000 annual budget line item will buy you exactly that; $100,000 of new equipment today. Spread over 5 years (for example) just over $20,000/year will put $100,000 of equipment into service today. $100,000 per year in the budget will put almost $500,000 of new equipment into service today. That’s your buying power at work. Let us prepare a quick quote now on any combination equipment & terms. We can have real numbers on your desk today–you’ll know within 60 seconds of receiving our quote if municipal leasing is the best choice for your agency! (what’s the downside of seeing some actual numbers?) And whenever you’re ready, we’ll put it all together for you in a matter of days, not weeks or months. (see computers for schools). Just keep reading here on Municipal-Leasing.com, or call us now. We’ll make you as much of a “lease expert” as you want to be.